Mailah’s mother, Rabia, has been attending adult literacy classes run by Community World Service Asia as part of our work to empower rural women. As well as training in traditional vocational skills, like embroidery and appliqué work, we provide education on basic literacy and numeracy to support the earning potential of women. Our participants are developing a deep appreciation for the importance of education, and are even teaching their own daughters how to read and write! 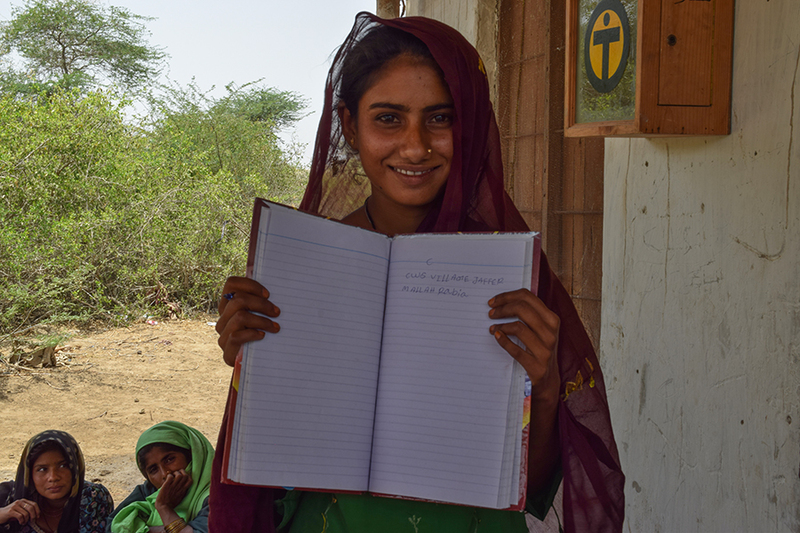 Rabia proudly shares what she is learning, writing our initials (CWS), her village’s name (Jaffar), her name and her mother’s name. Mailah shows us that the benefits of activities like this are far-reaching and long-term.